Make new friends, but keep the old, one is silver and the other's gold. Let your friends, new and old, know how much they mean to you by making friendship bracelets that you both can wear. 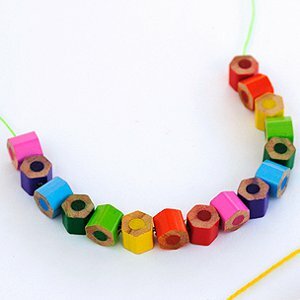 Don't worry if you don't know how to do a friendship bracelet, because AllFreeKidsCrafts is right here to show you some awesome friendship bracelets along with 20 other handmade, do-it-yourself bracelets that you'll love. Once your friends know how much you cherish them, let your family know too. 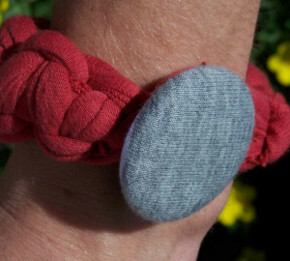 Do-it-yourself bracelets make great, inexpensive, easy gifts that are useful to boot. The great thing about these easy-to-make wrist decorations is that while you’re crafting away for your sister, you can quickly whip up an accessory for yourself too. Use different colors to make each do-it-yourself bracelet unique, and within no time you’ve got runway-ready jewelry to share and sport. 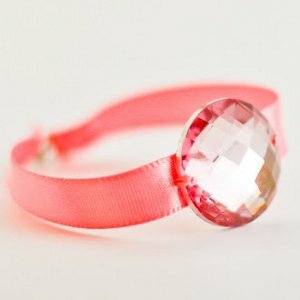 Even little fashionistas can make their own do-it-yourself bracelets because there are pieces in this list for all skill sets. No matter the skills needed, though, each and every bracelet included below is absolutely adorable. 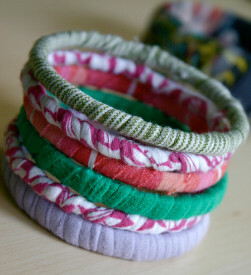 Bracelets that can be made by elementary students are, no doubt, cute enough for a teen to wear and vice versa. 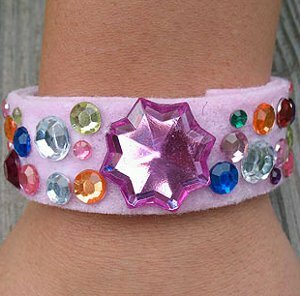 You will be shocked by the amount of compliments you receive on your do-it-yourself bracelets. Boys, don’t back away. Bracelets are definitely not just for girls. 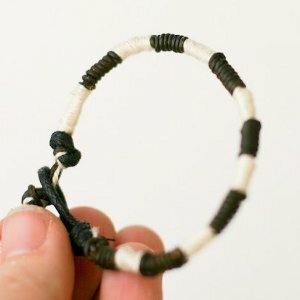 There are plenty of do-it-yourself bracelets included in How to Do a Friendship Bracelet and 30 More Do it Yourself Bracelets that are totally cool for boys to wear. Take a look at the Leather Wrapped Friendship Bracelet, the Square Knot Hexnut Bracelet, and the Spiral Wingnut Bracelet, which you’ll for sure want to wear. You can make one for your buddies too, or you can keep all of the manly cuffs for yourself. 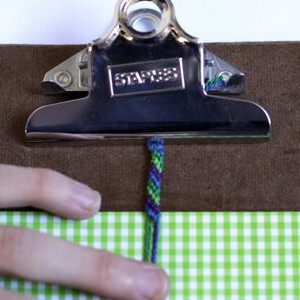 Ready to learn how to make friendship bracelets? Never let an outfit go un-accessorized again by relishing this handbook to handmade, fashion-forward, do-it-yourself bracelets. Making friendship bracelets with your BFF is the #1 way to show everyone how strong your friendship really is. Let everyone know that you two are inseparable by wearing matching friendship bracelets, or celebrate your differences by personalizing the same friendship bracelet designs with each of your favorite colors. Either way, you’ll share a bond as you two walk down the school hallway wearing the coolest bracelets. 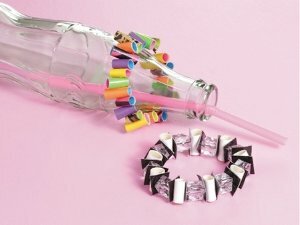 Circle your wrist with the most colorful, fun materials to make a youthful bracelet you’ll love. Show off your creativity and brace yourself for compliment after compliment. Even though your wrist is tiny, you’ll be making a big fashion statement. 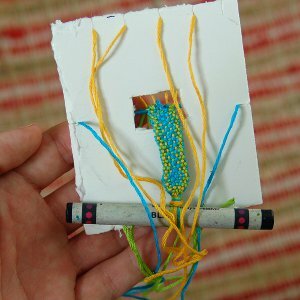 Now that you’re older, you’ve got your art skills down, and you’re ready to make stylish bracelets with a pattern. Twist, cross, pull, and wrap your way to fashion that is as cute as a button. You’ll be able to match all of your favorite outfits as you make tons of these affordable bracelets. These are knot your average accessories so be prepared to wow your friends with intricate designs. 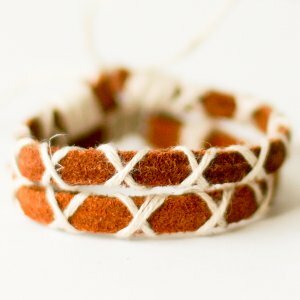 These diverse bracelet patterns look store-bought and brand-name, but they can easily be handmade to walk the halls of junior high. 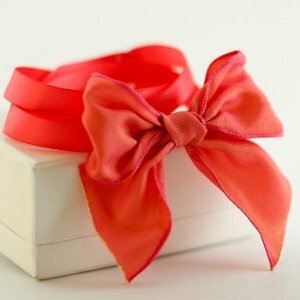 For the oldest and most knowledgeable fashionistas to use your skills for creating sew-cute wrist wrappers. These bracelets, which you can make to complement your homecoming dress or Friday-night-movie outfit, are designs that you will find flying off the shelf at your favorite department store or accessory boutique.